How big data and “smart” infrastructure are transforming Seoul’s mass transit systems. With 10 million citizens and a staggering metropolitan area population of 25 million , Seoul has twice the population density of New York City and represents 50% of the entire population of South Korea. This mass urbanization has challenged the Seoul Metropolitan Government (SMG) to consistently enhance its transportation systems including subway, public buses, and car traffic control. Digitalization, including advanced data analytics and “smart” infrastructure, has been and will increasingly be a key tool to streamline transportation processes. For the SMG, digitalization has not only been used to increase mobility and convenience but also as a means to improve safety and integrate transportation with other aspects of city life. For starters, Seoul’s subway is engineered to predict bottlenecks before they happen. “Smart” cameras measure how many passengers are boarding and how quickly they are boarding, and this data is used to adjust in real-time the speed and frequency of trains, smoothing out any potential supply-demand imbalances . For one of the busiest subways systems in the world, transporting over 7 million people per day , the impact of this fine-tuned monitoring is massive. Furthermore, sensors on trains and tracks monitor components to check whether maintenance is required, thereby preempting a breakdown. Seoul is home to the world’s first virtual supermarket where smartphone users can photograph bar codes of life-size pictures of food, toiletries, or electronics displayed on walls and platform screen doors for delivery that same day. High-speed free wi-fi in subways and 77% penetration of smartphones in Seoul  mean that this connected infrastructure is a practical solution for those who want to integrate their commute with on-the-go shopping needs. Above ground, the Transport office (TOPIS) collects data from Seoul’s roads to anticipate problems in order to stop congestion from building up in the first place. Over 800 CCTV traffic cameras operate across Seoul and if an accident occurs, they automatically take a picture and post it on Twitter  and provide citizens with alternative routes, which also serves as a tool to re-direct car traffic to the subway or other forms of public transportation. The SMG is also relying on data and high tech infrastructure to optimize bus offerings and solve the problem of expensive and oftentimes infrequent late-night travel options in the city. It worked with a telecom company, KT Corporation, to analyze the location data of 3 billion calls made during nighttime hours during the month of March 2013 . It mapped these locations relative to the billing addresses on file. They were then able to deduce commuting movements of these individuals. Based on patterns in the data as well as an analysis of taxi rides, the SMG finalized nine optimal bus routes and introduced the “Owl Bus” which runs from midnight to 5:00am and costs KRW 1,850. For low-income commuters and students, this is a significantly cheaper option compared to a taxi ride, which costs approximately KRW 8,000. And for the long-term, the SMG has set its sights on something quite daring. The Seoul bus system is revolutionary in its testing of online electric vehicle (OLEV) technology, by which electric buses are wirelessly charged by the roads they drive over. Electric cables are installed under the road and sensors on the car and road make sure that no energy is being leaked when there are no cars on the road . Originally developed in 2010, the city is still working on improving efficiency and lowering costs to ultimately drive commercialization of the technology, though it must be questioned whether OLEV will ever be economically feasible given the disruption to infrastructure it requires. Perhaps the ultimate goal long-term of the SMG, however, is best seen in its $35 billion investment to build an iconic smart city within Seoul that will completely eliminate the need for cars . 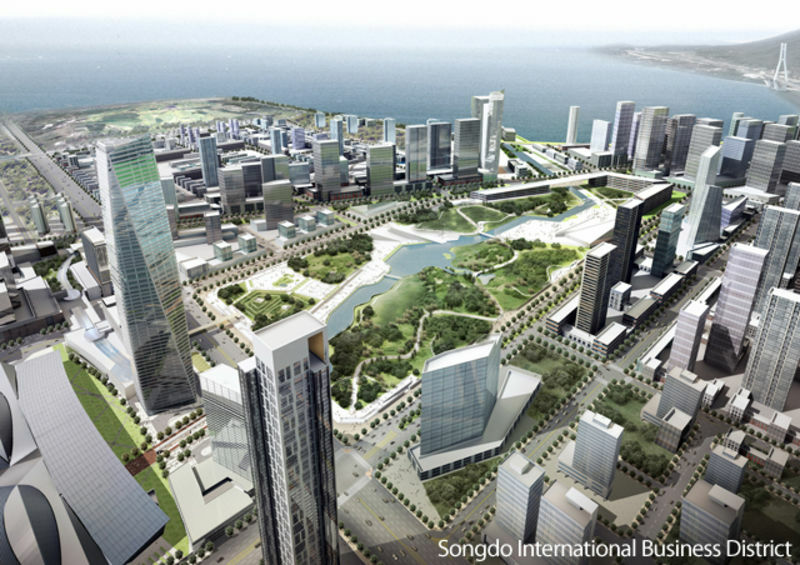 The Songdo project is currently under construction and only time will tell whether Seoulites adopt the idea. While developing digital initiatives is important, the SMG should equally be investing in controls to defend against potential cyber security threats. The more digitized the city becomes and the more it centralizes data, the more tempting it will be for cyber criminals to break into the data systems. Digitalization has many benefits but a major drawback is that one minor chink in the armor can cripple the entire system and potentially harm citizens. One must also ask how can Seoul help serve as a model for other cities. Over 80 heads of transit from other countries have visited Seoul to learn more about its integrated city planning and innovative transportation system , but is this model replicable in all metropolitan cities? And finally, despite the rapid urbanization that has spurred digital innovation, South Korea’s population, currently 50 million, is declining and projected to be only 34 to 44 million by 2060 . Is the SMG over-investing in decreasing congestion if population decline alone will likely solve the problem in the long-run? Techs & The City. 2017. Film. The Economist. Edward, Falzon. 2017. “What Are The World’s Best Metro Systems?”. CNN Travel. 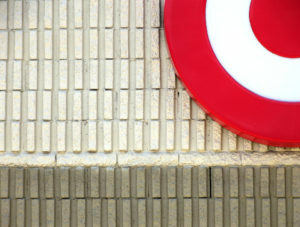 http://www.cnn.com/travel/article/world-best-metro-systems/index.html. “S. Korea No. 6 In Terms Of Smartphone Penetration”. 2017. Yonhap News Agency. http://english.yonhapnews.co.kr/business/2017/07/01/0504000000AEN20170701003500320.html. “Night Bus (Called Owl Bus): Route Design Using Big Data”. 2017. 서울아카이브 Seoul Solution. https://www.seoulsolution.kr/en/content/night-bus-called-owl-bus-route-design-using-big-data. Leo, Kelion. 2013. “Road Charges Vehicles Driving On It”. BBC News. 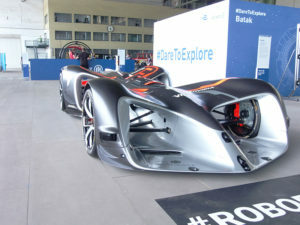 http://www.bbc.com/news/technology-23603751. Garfield, Leanna. 2017. “South Korea Is Building A $35 Billion City Designed To Eliminate The Need For Cars”. Business Insider. http://www.businessinsider.com/songdo-south-korea-design-2017-11. “The Smart Public Transportation System In Seoul Is The World’s Best”. 2015. Koreaherald.Com. http://www.koreaherald.com/view.php?ud=20150325000952. Ibbitson, John. “A Bleak Future And Population Crisis For South Korea”. 2014. The Globe And Mail. https://www.theglobeandmail.com/news/world/a-bleak-future-and-population-crisis-for-south-korea/article21249599/. Next Submission	Can Macy’s Stay Competitive? An excellent and insightful article that really begs the question, what is everyone else doing? Why is the SMG so far ahead in this integrated dynamic solution to congestion while the remainder of the OECD largely has not followed. The SMG is clearly happy to share their technoolgy and insights, evidenced by the enormous number of professional visits, yet there are few global stories of success that begin to rival this outcome. You have used the phrase, “impact of this fine-tuned monitoring is massive”, yet it would be compelling to quantify in terms of GDP or perhaps more importantly, quality of life or at a stretch maybe we could even stop to consider human happiness? In fact, these measures in many ways are one and the same with an INRIX study in 2016 showing that “the average New York commuter footed a $2,533 bill each year due to congestion”. I am sure each of these residents could think of almost anything they would rather put their savings towards. What sets Korea apart so that they can continue to drive this innovation? In a world of amazing liquidity and ‘capital looking for a home’, are the OECD countries so stuck in a public/private battle for responsibility that we cannot begin to implement the building blocks of a digital transport system. It should be easy, Seoul has shown the way. Great article. I would propose that the cities which are in most dire need of “smart solutions” and gains in efficiency are least poised to adopt these sorts of changes from a political/psychological perspective. Consider India, home to 27 cities with over 1 million people. Recently, the Prime Minister commissioned the “smart city” program, where 100 cities are nominated and develop smart solutions to infrastructure problems with global leaders in IT (Cisco, Accenture, IBM, etc.). $15B have been pledged to the program. However, in some cities, local (low-income) pushback has been dramatic. How, they ask, can the government worry about train S&D optimization when for several weeks in the summer, many neighborhoods are impossible to traverse due to the effects of monsoon-driven flooding? How can IT solutions be pursued when physical infrastructure still fails so many? Bismah, this is a very interesting read. To your question of whether this model is replicable in other cities around the world, I think my concern would be the level of surveillance that the SMART system infrastructure has developed. Whereas I think Seoul has taken great commendable strides using this model, I think it would probably be met with resistance in many Western countries. The infrastructure set-up in many cases seems to have involved a level of surveillance on people that many would deem uncomfortable at best and even worse breach of data protection. For example, analysing the data from night time calls, and using the billing addresses of the callers from the telecoms company to calculate optimal bus routes… I can just see the headlines… “Proposed smart city will require citizens to live their lives on big brother”, “New proposal suggest spying on citizens will improve congestion”… etc. etc. I am really interested in how much incremental improvement the smart camera/real-time fine-tuning of train schedule technology can deliver over adjusting train schedule using historical data. I thought that since train usage pattern is quite predictable (could be a very wrong assumption), historical data (be it camera/platform density data, or ticket usage data) can probably get us 80% there in terms of coming up with a more efficient train schedule. I also wonder how this technology can ensure safety given that it has to adjust train speed frequently for multiple trains in the system. It would be great to understand more the cost/safety vs. train performance improvement tradeoff that Seoul considered before embarking on using this technology. Really great article. It’s fascinating to see how far ahead the SMG is compared to other cities around the globe. While the idea of smart cities and embedding sensors into the infrastructure sounds really great at first glance, I wonder how the rapid pace of technology will ultimately effect the utility of some of these investments. For example, predicting bus and traffic patterns may be wonderful right now, but if we have fully autonomous self-driving cars roaming the streets in 10 or 20 years that are privately owned by citizens or companies, with the ability to make much more granular transits than large buses and trains, will much of the investment in these technologies be for naught? A city like Songdo sounds really great on paper, but when I think of buildings with computers built into them, I can only imagine how outdated they will appear in only a decade. Great read! I agree with Toffel House’s concern about obsolescence. It’s often challenging for large-scale infrastructure projects to keep pace with technological innovation, by virtue of the sheer expense of ripping out and replacing existing investments. I wonder how long South Korea ought to keep its existing replacement before it makes economic sense to upgrade its infrastructure once more. I also really appreciated the author’s point about cyber security! PLCs and other common aspects of “smart infrastructure” projects have been shown to be hugely vulnerable to cyber-security threats. I’d be curious to better understand South Korea’s broader cyber-security defenses, especially given that it has an adversary up north that has a formidable arsenal of cyber-weapons. Incredibly interesting article Bismah, I had no idea Seoul was this far developed. Similar to most of the comments here, I instantly thought about the applicability to other cities, and what has “enabled” Seoul to do this. Unfortunately for some of the older public transport systems (London, NYC, Paris) the age (and thus quality) of infrastructure is prohibitive to these sorts of digital upgrades. Much of the spending on infrastructure is essential maintenance required to keep it operational, a digital network would be a significant leap from where these cites currently are – I wonder if it is even feasible. The level of the investment in Seoul is impressive, you describe a commitment of $35Bn to build a smart city (a huge number compared to the current operating budgets of the transport authorities in New York (MTA) ~$15Bn budget  and London ~$13Bn ), this is likely driven by a higher % of the population in Seoul, possibly resulting in a bigger purse for the SMG. As Jono asked, I wonder whether the “business case” for these upgrades exists today – if it doesn’t, I struggle to see how London and New York are going to be able to organize funding and focus, and if their public transport systems will continue to degrade and will ultimately be classed as 2nd tier vs innovation that is occurring in Asia. It will be interesting to see what happens in the UK over the next few years. They have just set up a transport department which is an apolitical entity (the National Infrastructure Commission) – it will be interesting to see whether this structure enables the sort of investment needed to reach this level of innovation in the transport sector. Very interesting article! The benefits of digitization in the transportation sector are immense and still partially unexplored. I want to provide some additional information about what is going on in New York at the same time, and what are the challenges to develop these technologies in a place like New York City. •	“Midtown in Motion”: microwave sensors, traffic video cameras and EZPass readers are used to gather traffic flow information, then sent wirelessly to DOT’s Traffic Management Center (TMC), where real-time actions are taken to ease the traffic. Travel time was reduced by 10% in one year. •	“Traffic Signal Priority” system: it has a GPS and a traffic-control software built into the bus, and allows the driver to request priority as it approaches the intersection. TMC will modify the light pattern and prioritize the bus flow. Travel time was reduced by 20%. These are interesting initiatives, but they do not solve New York’s massive traffic issues. “On June 29, 2017 Governor Andrew Cuomo declared a state of emergency for the Metropolitan Transportation Authority’s (MTA) service area citing continuing failures of MTA infrastructure and their vast and deleterious impact on the region”. The main causes for these issues are two: the aging of a 112-year-old system, and a huge rise in traffic (from 1 to 1.8 billion people since 1990). I was involved in a project, the MTA “Enhanced Station Initiative” (ESI), which is thought to modernize 31 subway stations, and increase the subway capacity to reduce congestion. The ESI project was largely advertised by Governor Cuomo and was really needed, but if you want to prioritize, what would really help solve the subway traffic is the signaling system. Most of New York trains uses the “block train” technology, a very obsolete system to coordinate the train movement. The City is (very) gradually trying to replace this system with a computerized signal system like the CBTC. This would allow the trains to run closer to each other and increase frequency. However, the process is complicated, and execution is extremely slow: it took 10 years to install the system on the L train. •	These projects have massive impact on traffic flow: the best solution would be to do longer closings to finish the work more quickly, but it is difficult to do that in New York. •	These projects are extremely expensive, so it is a real challenge to fund them (could lead to new tolls or taxes). •	Governments often prefer to wait for a trauma before embracing innovation, and this is definitely New York’s case, since the subway traffic has become unsustainable. Really interesting read, Bismah! At the risk of not adding a ton of value as the 10th comment, I couldn’t help but ask myself as I was reading your article what it is about Seoul’s culture that has enabled it to be so innovative and act so quickly to develop such technologically advanced public infrastructure. Is this level of sophistication pervasive across other areas of Seoul’s public sector or is it restricted to this one area? I agree with MD above that New York City is in desperate need of bolder action with respect to its public transportation, including significant technology enhancements, but it doesn’t appear that public officials have the know-how or sense of urgency to create and deliver technology-driven solutions. In thinking how Seoul can help serve as a model for other cities as you mention, I think an important aspect would be how to create a culture of technology-driven innovation in the public sector. As more people move to suburban areas outside of Seoul, more economic opportunities will arise in once economically stagnant locations. Furthermore, the high concentration of RoK’s population in such close proximity to the firing range of North Korea’s long range artillery makes the Seoul metropolitan area a significant target. Overall, more efficient public transportation might not only help to make local Koreans’ commute to work less stressful, but also might help the RoK government to better spread its population to address urbanization and force protection issues. Eye-opening article. Why do Western countries not adapt similar technologies? Populations would definitely benefit. Your essay touches on very interesting points, but I’d like to add one more. Embracing digitalization, Seoul could also lead the way in transparent government behavior with high visibility/accountability. Right now, Seoul seems to be focusing on the supply chain of physical services for its citizens. What I’d like to see is a similarly digitalized supply chain of information and participation for local governments, e.g., voting, fulfilling public tenders online etc. The way I see it, this could add another innovative level to the way Seoul is delivering service to its citizens and could be a beacon for other cities across the world. Especially ones which suffer from corruption and information asymmetries. A very informative and well written article, Bismah! I think other people already touched upon important topics, so I just wanted to provide a bit more color for our section as one of the Seoulites born and raised in the city. – Building from scratch: When compared to New York or other major cities in the U.S/Europe that others mentioned earlier, I think many cities in Asia enjoy the benefit of starting from scratch. I also spent two years in Hong Kong, and the public transportation there was very modern, fast and effective. I would assume the same for Singapore and others. It would be a bit more expensive for New York to change its old system significantly. The new Songdo city that Bismah mentioned is another good example. It was built on a completely empty land near Incheon and the government was able to build a brand new IT infrastructure. This is a fascinating story of a modern metropolis investing to become a leading “Smart City.” I think that while the full blueprint of Seoul’s infrastructure investment would be difficult to implement entirely in other cities due to variation in city design, politics, access to capital, among many other factors, it seems feasible that some of the strategies like “smart cameras” in subways could be implemented in most cities that have a modern subway system. While South Korea’s population may be declining over time, I am not sure that this will have a major impact on Seoul’s population in particular. Some research appears to suggest that Seoul’s population is going to remain relatively constant at 10M [1}. Additionally, Ibbitson’s article mentions towards the end that South Korea could look to open up its border and have a more inclusive immigration policy . Lastly, I think any city that is twice as dense as New York City could always benefit from technology investments in infrastructure. I think Seoul should not worry about modernizing its city – the improvements that will come from it – efficiency, jobs, decreased congestion – will far outweigh the costs. Great article! I think this is a particularly useful application of the technology in a way that could benefit a wide variety of cities. I wholeheartedly agree that the more you aggregate data, the more opportunities there are to exploit it through probing attacks. That being said, it should not prevent company from investing in such technologies, since the defense of our networks will be an ongoing concern.